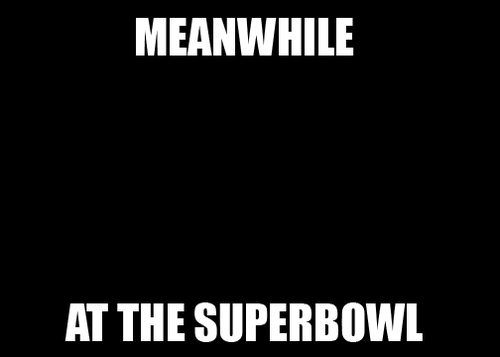 So unless you’ve been living under a rock, you know that the lights went out during the Superbowl tonight. Call it what you want – #lightgate, #darkbowl, or #blackoutgate – it was a social media spectacle to be unrivaled. The Superbowl was delayed for 33 minutes (better than the 7 days of no power after Isaac), promulgating hours of pure hilarity online. In fact, a brand new Twitter account called @superbowllights acquired 3,200 followers in just 10 minutes – a Twitter record. Entergy swears that all of their feeds to the Superdome were working as expected, but their reputation precedes them, and posts such as “@EntergyNOLA Just thought you should know that your pants appear to be on fire,” began popping up almost immediately. Of course, conspiracy theories also began to materialize, the most popular here in New Orleans being that Roger Goodell, the NFL Commissioner, pulled the plug to make us look bad. After a lawsuit over the phrase “Who Dat” and BountyGate, New Orleans Saints fans are convinced that Goodell and the NFL have it out for our city. Some of my other favorite theories: Voldemort, Bane, The Doctor, Entergy getting payback for negative press after Isaac, NOLA voodoo black magic, the Russians, the Energizer Bunny, and Ray Nagin. 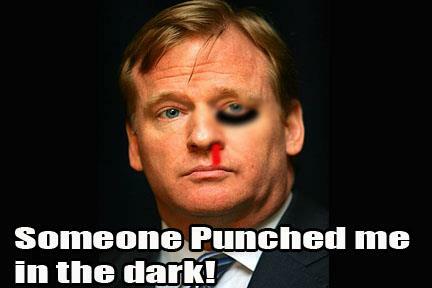 Ray Lewis didn’t kill the power, but he was there when it happened. Don’t blame the Superdome, I’ve blacked out several times in New Orleans myself. Kanye walks in and turns off the lights. I’m sorry Baltimore, I’m gonna let you finish but BEYONCE had the best performance of all time!!! If you liked it, you should’ve put a backup generator on it. Did anyone update Stevie Wonder about the lights going out? Security is looking for Ray Nagin in a Bane mask. Well, at least Bobby Jindal will never be president now. Seriously y’all, have you ever seen a Mercedes with a properly working electrical system? I think some Saints fans took the “blackout the dome” too literally. 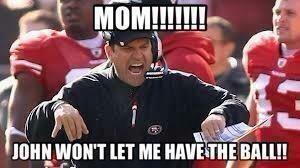 Maybe the Undertaker was going to come out and bury the Niners, because they are dead anyway. Finally, Americans care about the infrastructure in New Orleans! Only in New Orleans…third quarter extended for maximum drinking potential. Who Dat thought the power would stay on? That’s New Orleans Voo Doo for you. You mess with the Saints, we mess with your superbowl. Thanks Nola, way to ice a whole team! Welcome to Louisiana where we randomly lose power for no known reason! Isn’t blacking out in New Orleans normal? #SuperBowlXLVII is our of usable Pokemon. The Superdome blacked out. Hopefully, New Orleans doesn’t suffer due to this little mishap, especially after all the wonderful things that happened over the past week. It would be wonderful to win the bid for 2018 to have the Superbowl party coincide with the city’s 300th anniversary! Regardless of what the blackout does for the city, the sheer amusement that it caused will forever live on the Internet for our children and future employers to find. What was your favorite post, comment, or meme from tonight? 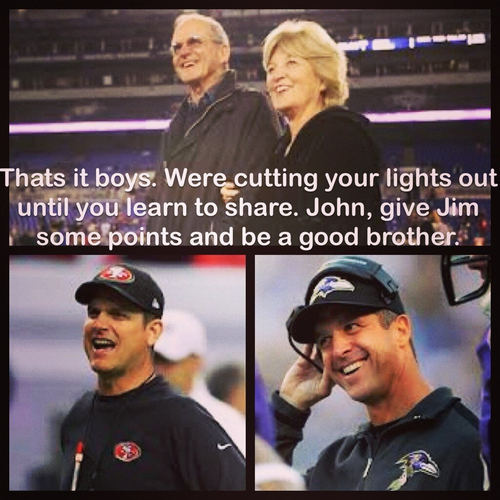 Tags: #lightgate, Favorite Posts about Lights Out, Lights Out During SB, Superbowl XLVII. Bookmark the permalink.